I ordered an nVidia Shield 16GB Android TV and received it this morning. My first thought is the 16GB be upgraded with a 2.5" hard drive like the 'Pro' model uses? 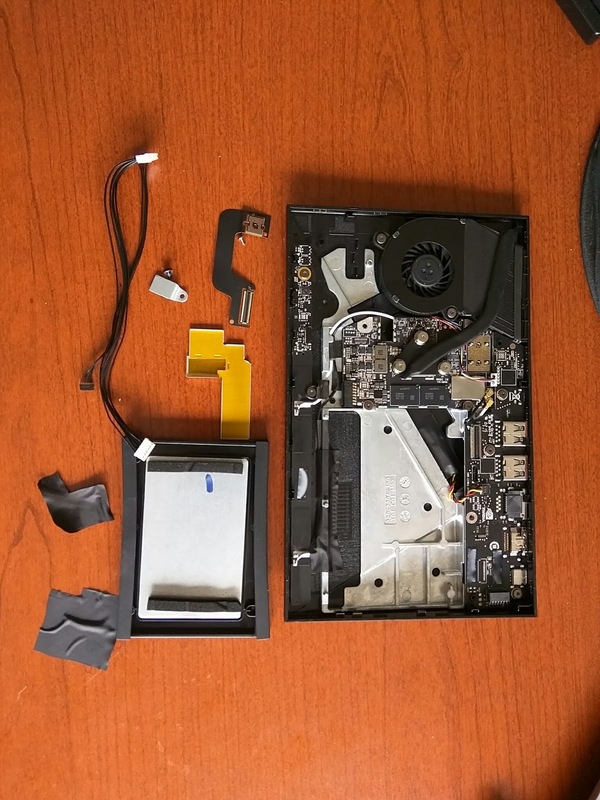 The console has no visible screws; the bottom readily popped off with a plastic tool. Below are images of the innards of the nVidia Shield Android TV (note: serials obfuscated). HD filler and cabling removed. 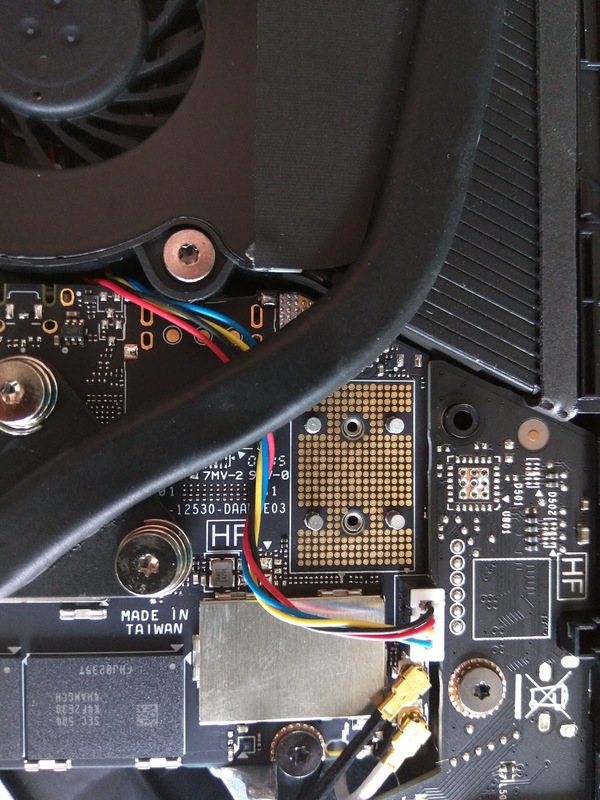 No obvious SATA ports. Interesting cable; the J1 end looks like a BGA. Section of board where J1 connects; additional unused connector is located above. Two metal pegs align and the screw secures the the contacts. 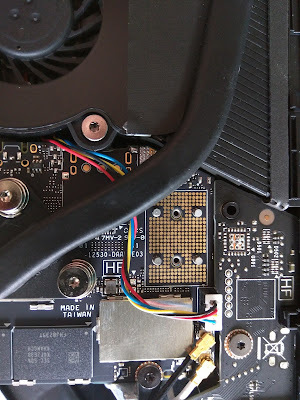 Thoughts: no obvious SATA or power connectors on board. There is a possibility that a second cable may be used in the pro version that would connect the additional space above J1 to a SATA cable? Or is the the 16GB flash on a board that can readily be removed and and replaced with a board that supports SATA? The nVidia Shield Pro Android TV isn't due to be released for another few weeks; hopefully more info will be forthcoming once it has been released. Hello, I thought I would edit your first pic to show you were the SATA header is located. 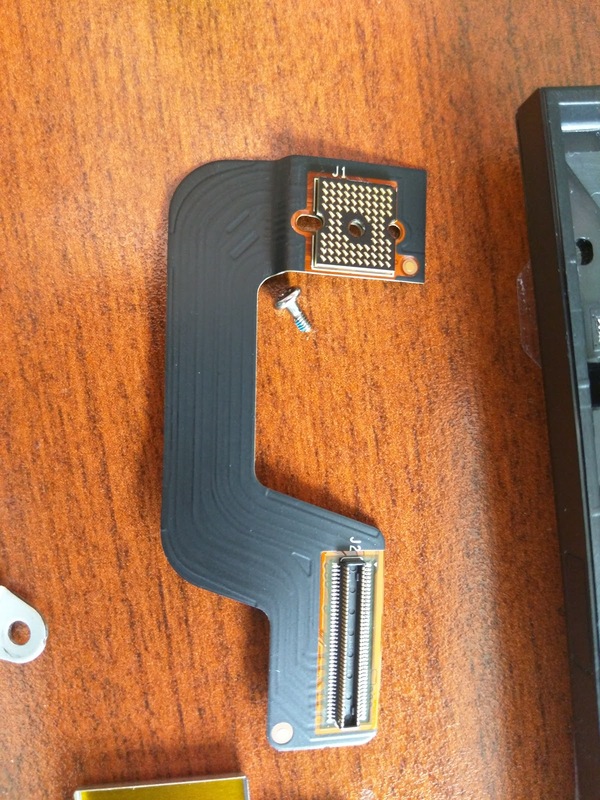 You just need a 90 degree ribbon to sata adapter. Oh, and just so you know the big BGA style ribbon cable is the same on the 500gb Pro model. So only the SATA header seems to be missing. Since you have a decent camera, is there any way I can talk you into posting a really good up close macro shot of that SATA area please? 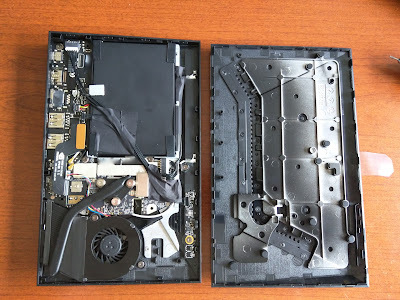 Maybe I can send it to some of my electronics supply contacts to see if they can get me the parts so we can mod these things with our own SATA storage. Oh, and yes a SATA drive is magnitudes times faster than any microSD card. If a SSD SATA drive used the same rating scale, it would be rated about a Class 200 (or more), as apposed to the microSD's class 10. 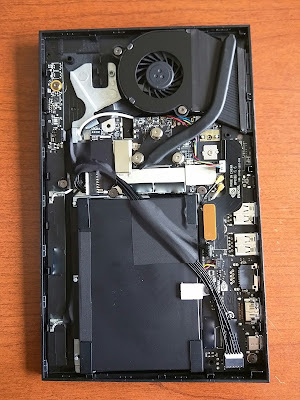 I just wish this device had a M.2 connector instead of SATA, haha.